I am a huge fan of lipsticks, my collection has very quickly grown over the past few months. So quick infact that I have to had to buy more storage to keep it all. I think it is one product that you can really experiment different looks with. You can go for a girly look with shades of bright pink, a gothic look with dark purples or a sassy look with a bright red. The possibilities and combinations are endless. I find that lipsticks can really pick up your mood, as never underestimate a girl with red lipstick. I find as soon as I apply that red colour, my mood is instantly perked up. 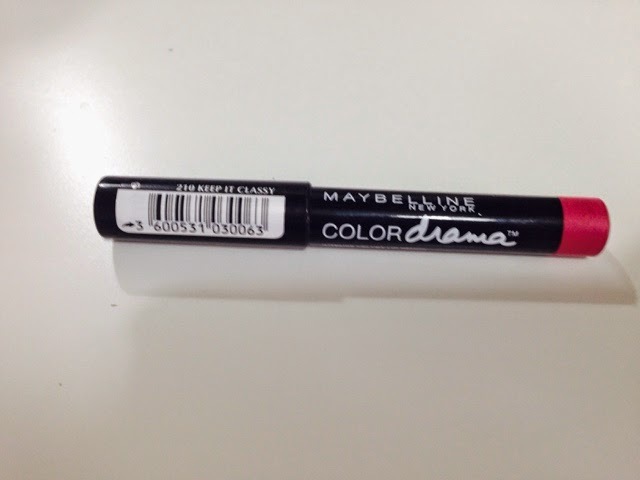 As i am always trying and testing new lip products, I was excited to see a lipstick crayon. I have tried crayons in the past and loved them, they can sometimes leave your lips a little dry but this can be solved with some lip balm before applying. I find that with crayons the colour tends to stay put for a little longer. As i have mentioned previously, lipstick does not stay for long on my lips and I am always licking them or pressing them together. It is a habit I have never really been able to get out of once I have lipstick on. When I popped into Superdrug, the lip crayons were just waiting for me to pick one up. I did choose a darker pink, this is something which I do usually wear more of a weekend colour or a night time look, the colour is 210 Keep it classy. As i tend to wear more natural colours for work, for a more daytime look. 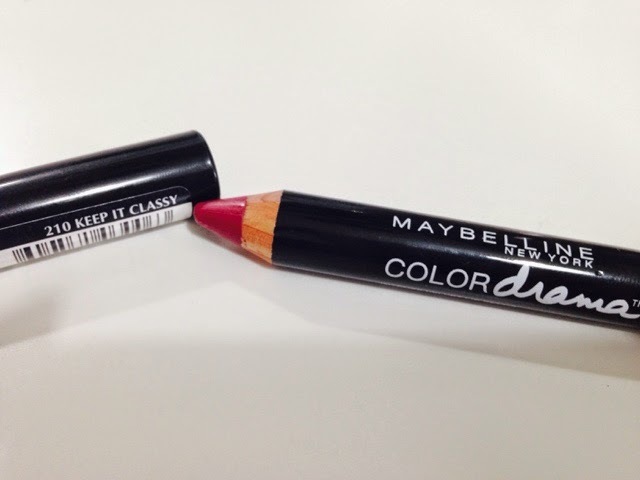 The lipstick is really easy to apply, I worried it would smear around the corners of my mouth which sometimes i find the darker colours tend to slip and not stay in place. This crayon I found did stay in place, I did apply a lip balm over the top just to ensure my lips were too dry but this might just be my lips needing more moisture. There are more shades in this range, there was a buy one get one half price at the weekend so I may just have to pop back to pick up the other colours. As they are perfect for popping into my bag and applying quickly, so perfect for after work drinks.